I recently attended a get-together at a friend’s house where we did some wine glass painting. I was so pleased with how the glass turned out, and I knew that I wanted to make more of these glasses. Plus, they make ideal gifts! This tutorial is based on the design I did at my friend’s house. 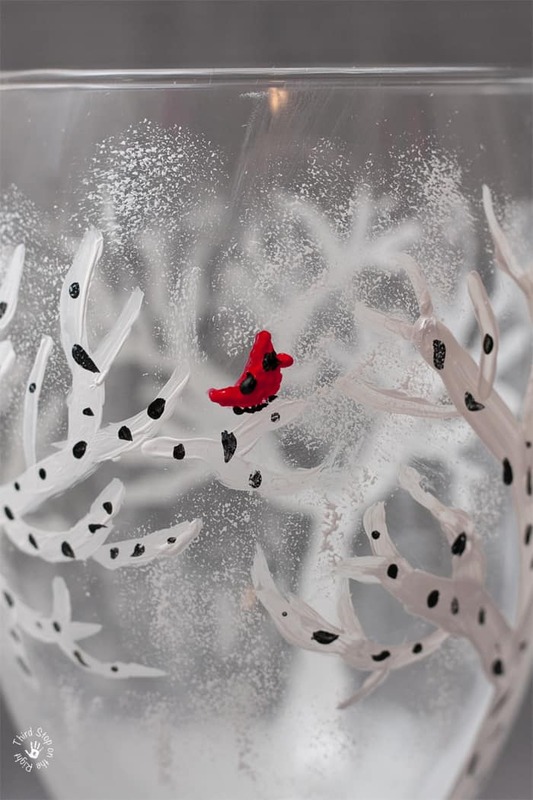 It is a serene winter scene featuring a snow-covered birch tree and cardinal. Although this glass looks difficult to make, it honestly isn’t all that difficult to do yourself. You will want to prepare your materials first. You will need to start by purchasing some acrylic enamel paint. 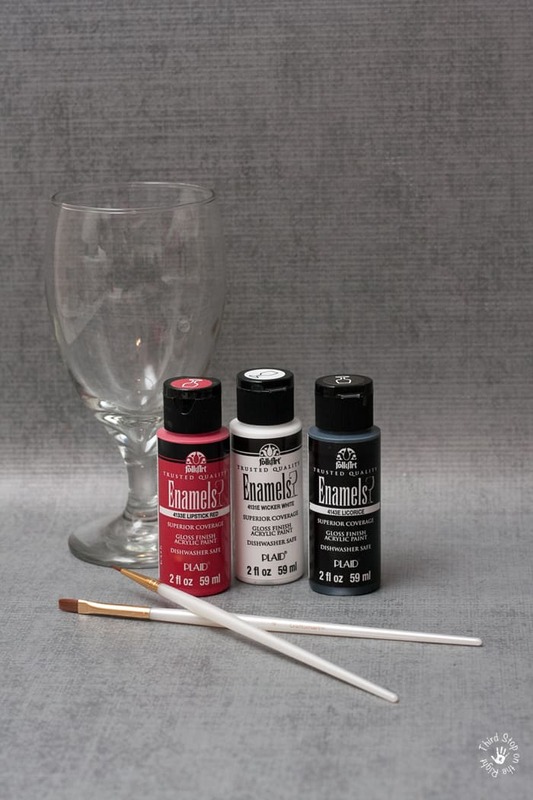 It is very important to purchase the acrylic enamel so that it won’t wash off the glass. It will also make it top rack dishwasher safe. 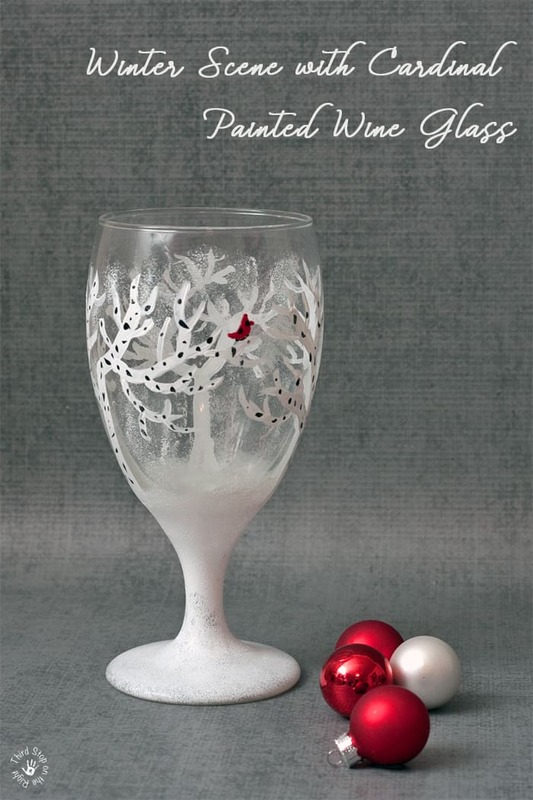 For this glass, you will need white, red, and black paint. You will also need a medium-sized paintbrush as well as a very fine paintbrush. You may even want a few toothpicks. 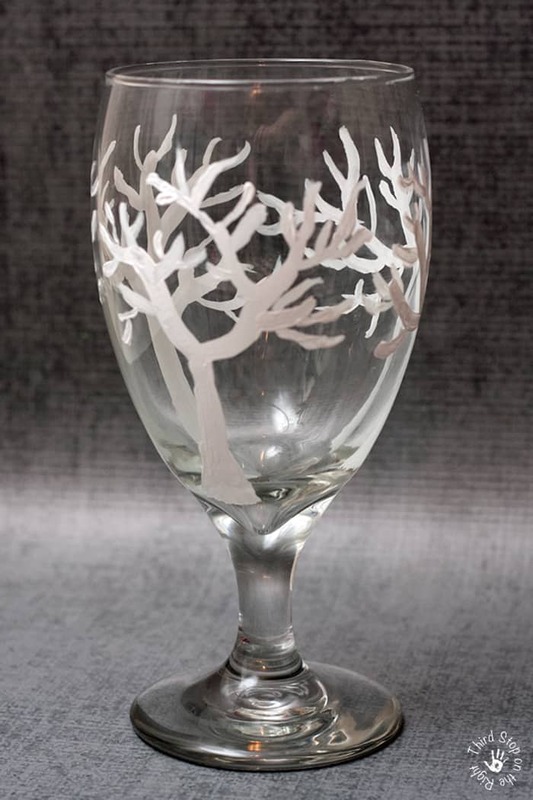 Before you begin painting, you will want to make sure that you thoroughly wash and dry the wine glass. This will remove any dirt or oils which will help the paint to adhere. Additionally, you want to make sure that while you are painting you avoid touching the glass in order to keep from getting oils on the glass. Begin by making the tree trunks. Start thicker at the bottom and taper it as you move higher. Add off-shoot branches. As you go higher, and more branched out, the branches should get smaller and smaller. 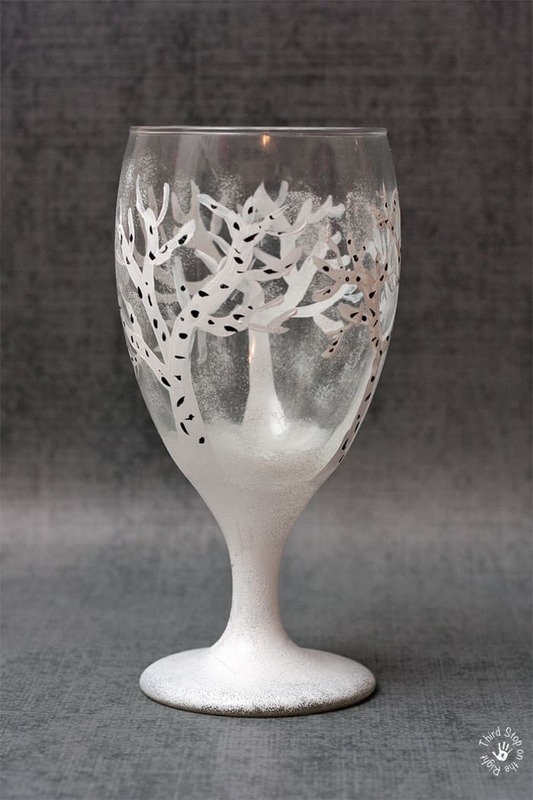 Dip the toothbrush into the white paint and use it to create some small, fine branches. At this point you will want to make sure that you have a branch on which to perch the cardinal. To give the trees a little more depth, and to make them look like birch trees, I put little flecks of black throughout the branches. You will want to use the toothpick or a fine brush for this. I wanted the impression that it was snowing and that the trees were in snow, so after the branches dried I used a sponge to dab on a super-light layer. To do this, thin out the paint as much as possible so that there is barely any paint on the sponge. Then, dab it very lightly among the trees and branches. Continue to use the sponge to make it look as if the trees are sitting in snow. 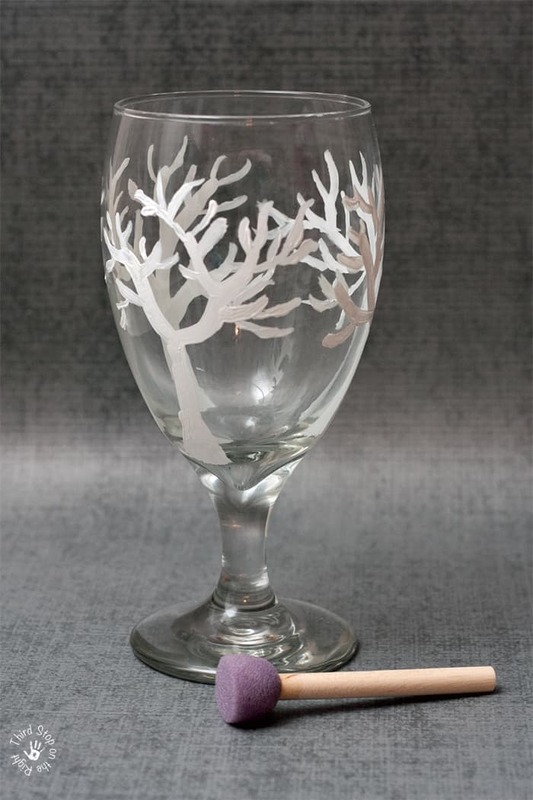 Also, paint the stem and the base of the glass. To make the cardinal, you will want to start by making a small, red circle. Using a toothpick or your fine brush, make a small triangle on the top of the bird for the head and one for the tail. Make a small red dot for the beak. Using just a tiny amount of black paint, put a dot where the face, wings, and feet would be. Once your wine glass is finished it isn’t ready for drinking from just yet! First, you will have to cure the paint. There are two ways of doing this, in the oven or through air drying. Unless you aren’t planning on using your wine glass for a while, the air drying method probably isn’t the best as you will have to let the glass dry for 21 days. Let your piece dry for at least 1 hour to make sure that all of your layers of paint have fully dried. Place the piece in a cool oven. (It should start out being OFF.) Set the oven temperature for 350 degrees and bake project for 30 minutes. The glass must heat gradually in order to avoid it breaking. After the 30 minutes, turn the oven off and let the glass cool completely in the oven. Do not use for 72 hours. After the paint has cured the wine glass will be top rack dishwasher safe, however hand washing is still recommended. Just be sure not to soak the glass when you are washing it. 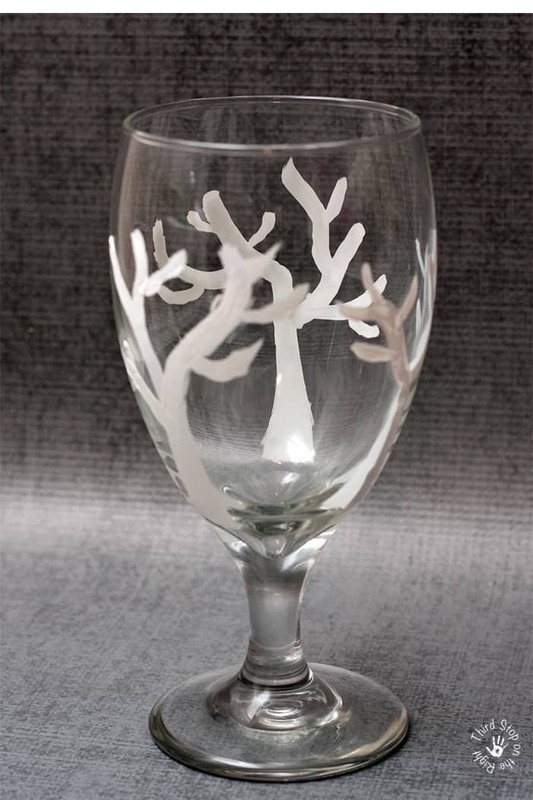 And then you are free to sit back and enjoy a nice bottle of wine with your new painted wine glass. See, I told you that making this glass was way easier than it looked! « Moms: When Was The Last Time You Took Time for Yourself?